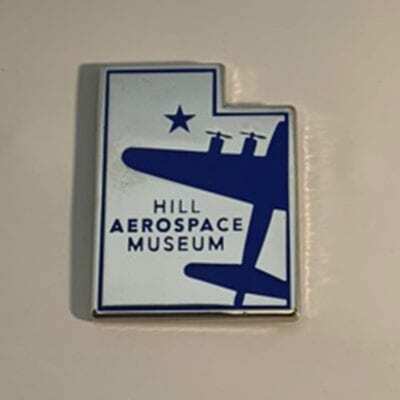 This F-35 pin was made exclusively for our Gift Shop. The F-35 “Lightning II” is the USAF 5th generation fighter and is going to replace the F-16 “Fighting falcon” and the A-10 “Thunderbolt II”. 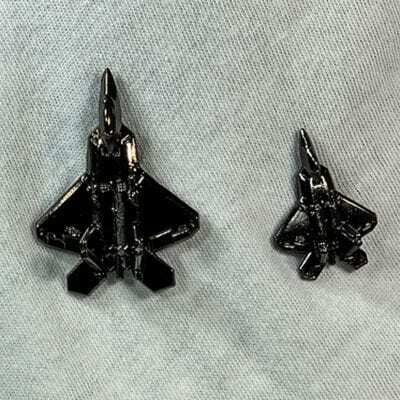 The F-35 pin has HAFB on the one tail and F-35 on the other.